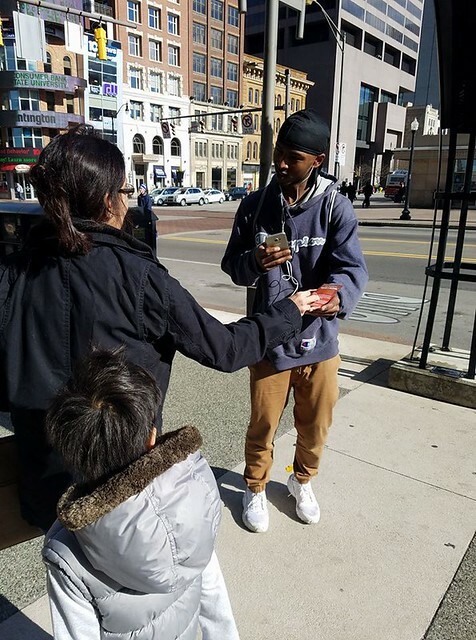 Messiah Foundation USA took Lord RaRiaz Gohar Shahi’s message of divine love to passers-by to the streets of Columbus, Ohio. Our members also held up large banners displaying the divine signs on the Moon, Sun and Holy Black Stone. They invited humanity to call upon the divine signs in times of trouble. Many people were receptive to our teachings and thanked our team for their labour of love.